Please help us as we communicate with you. Our newsletter will be sent via email, to get you the latest club information. 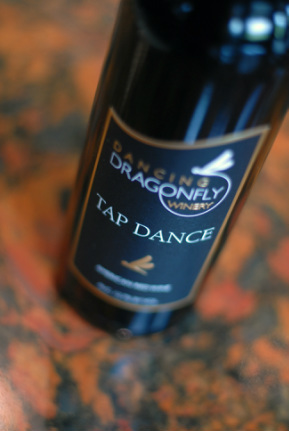 To ensure you get the newsletter and other emails, please add the e-mail address: clubmailing@ dancingdragonflywinery.com to your contact list. Wine Club members now receive 20% off regularly priced glasses of wine. Enjoy discounts on wine by the glass and our newly extended patio! Calypso is available in limited quantities and available exclusively to club members. Wine Club members can purchase these wine favorites before they run out! Signature level orders (two bottles) will now ship for $20 and Premier level orders (four bottles) will ship for $25.